The FWA landing page has a really nice content slider that plays with 3D perspective on screenshots and animates them in an interesting way. Today Codrops would like to recreate part of that effect and make a simple content slideshow with some fancy 3D animations. 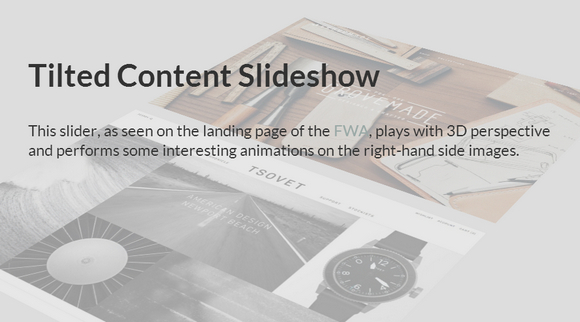 Codrops has shared a tutorial on how to recreate the slideshow seen on the FWA landing page with 3D effects involving random animations. Please note that we’ll be using CSS 3D Transforms and CSS Animations which might not work in older or mobile browsers.